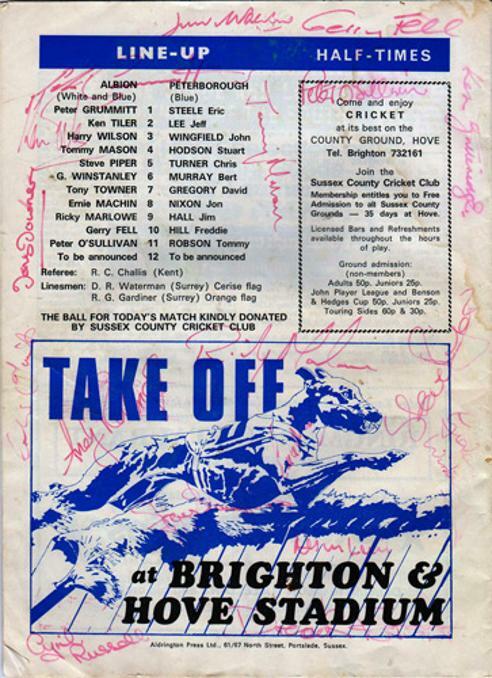 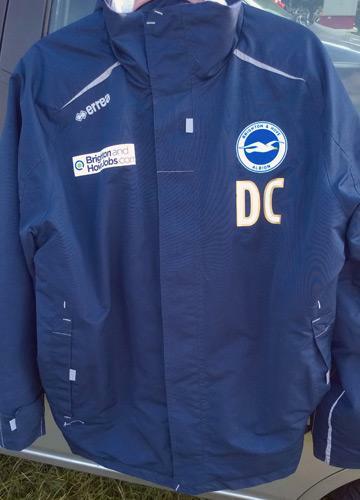 Signed by the Brighton team + squad members on reverse team sheet. 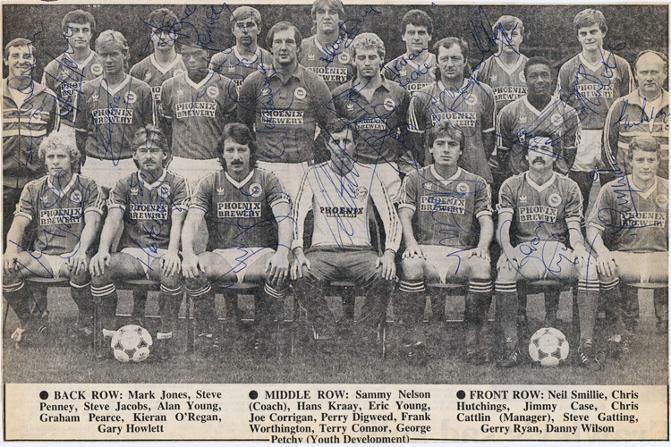 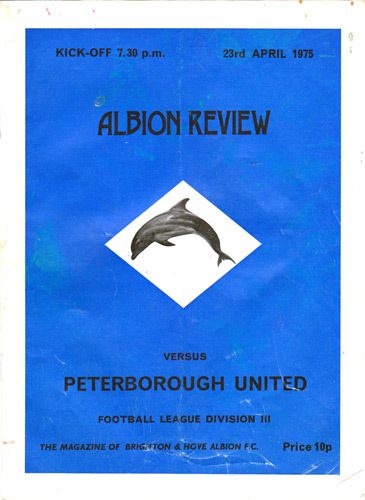 PETER GRUMMITT, KEN TILER, HARRY WILSON, TOMMY MASON, STEVE PIPER, GRAHAM WINSTANLEY, TONY TOWNER, ERNIE MACHIN, RICKY MARLOWE, GARY FELL, PETER O'SULLIVAN + Derek Forster, Stephen Govier, Alan Lewis, Jim Walker, Ian Mellor, Fred Binney, Dave Busby, Paul Fuschillo, Billy McEwan, Andy Rollings, Wilf Smith & Ronnie Welch. 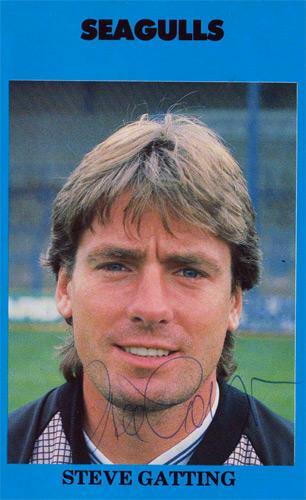 Manager: Peter Taylor. 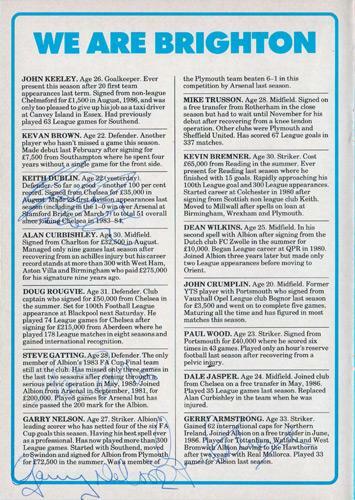 Squad bio page signed by Keith Dublin, Steve Gatting, Garry Nelson & Gerry Armstrong on their respective entries. 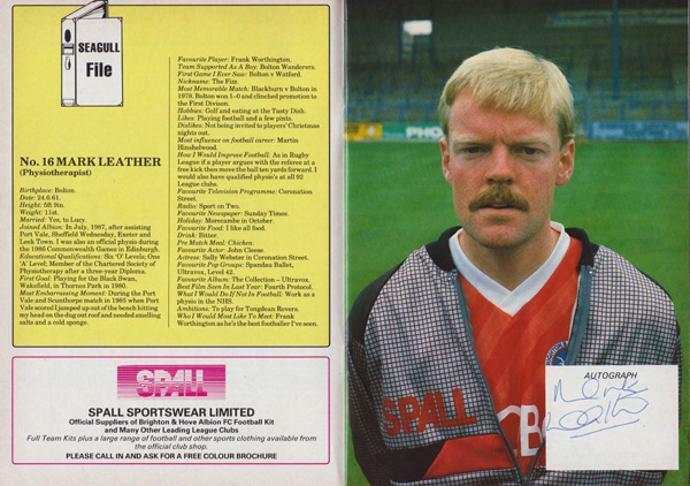 Signed 1984 programme profile page & pic. 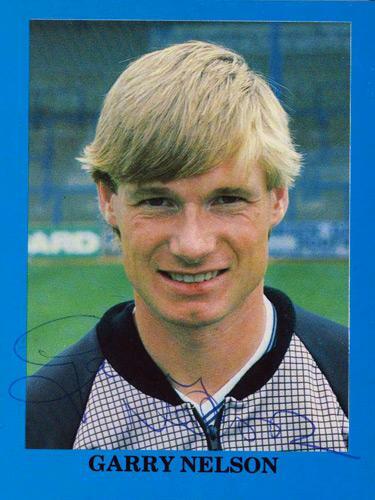 Signed 1988 BHAFC programme profile pic (small). 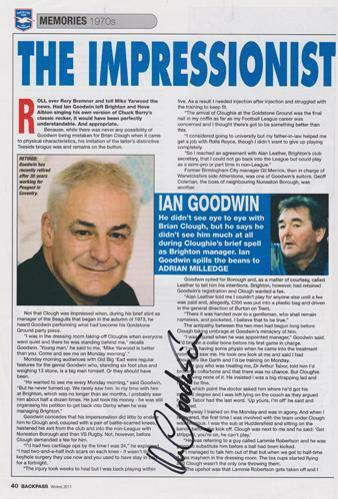 Signed Winter 2011 Backpass magazine article on Goodwin's encounters with Brighton manager Brian Clough in his short stay at the club in the 1973-74s. 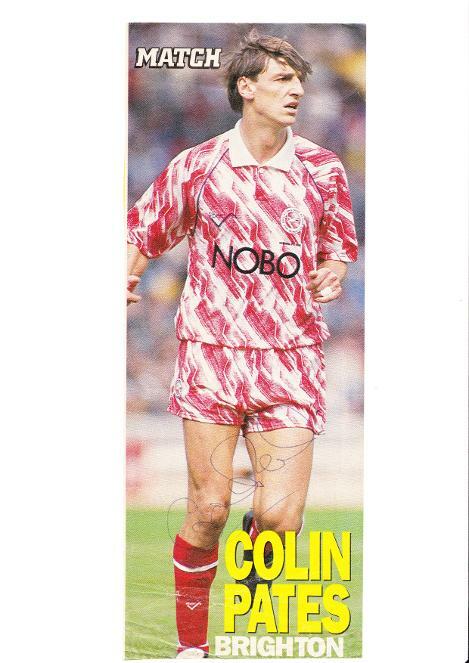 Signed colour magazine pic cut-out. 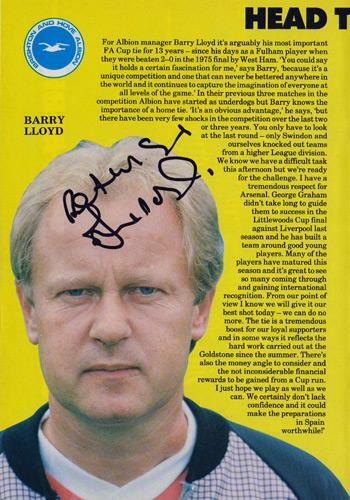 Signed 1988 BHAFC programme manager profile pic. 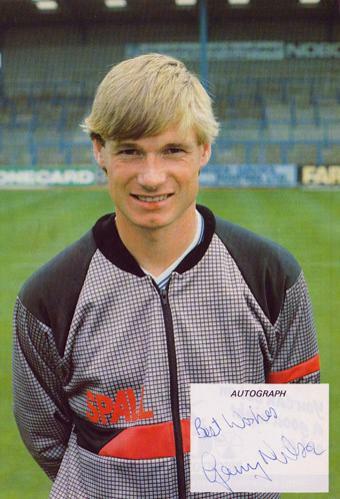 Signed 1988 BHAFC programme autograph page pic. 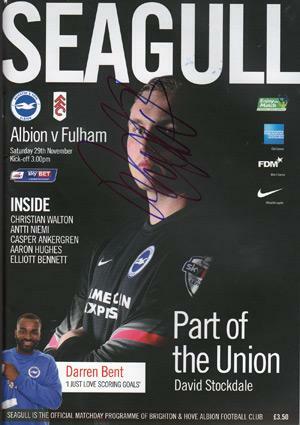 Signed MATCH magazine poster pic. 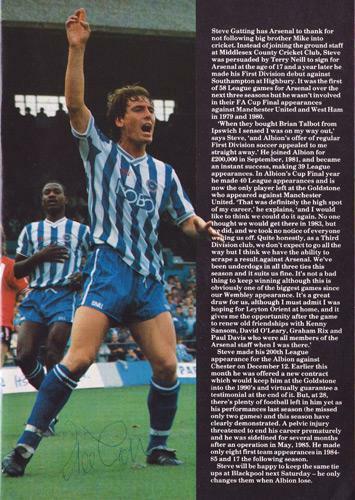 Signed 1988 BHAFC programme bio profile double page spread.